Childhood experiences, both positive and negative, have a tremendous impact on lifelong health, opportunity and future violence victimization and perpetration. As such, early experiences are an important public health issue. 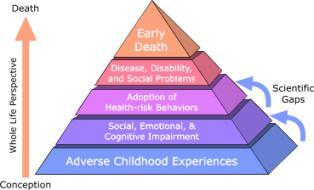 Much of the foundational research in this area has been referred to as Adverse Childhood Experiences (ACEs).